Prince Harry discussed his late mother, Princess Diana, in his first sit-down interview next to his new fiancée Meghan Markle on Monday. 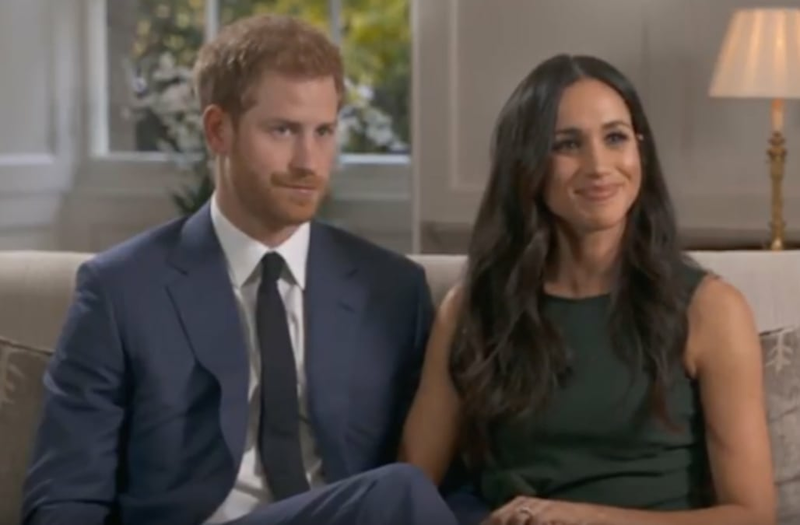 The couple, whose engagement was announced on Monday morning, sat down with the BBC's Mishal Husain to discuss their relationship, his proposal and their plans going forward as a couple before the conversation turned to Harry's mother. Responding to a question about his inclusion of two stones from Diana's jewelry collection on Markle's engagement ring, which he designed himself, Harry explained that the decision was to "make sure that she's with us on this crazy journey together." Diana died in a car crash in Paris on August 31, 1997. The royal family -- and the world -- commemorated the 20th anniversary of her tragic death earlier this year. Husain then asked Markle what it meant that Harry decided to connect her to his beloved mother. "I think everything about Harry's thoughtfulness and the inclusion of [these stones] and obviously not being able to meet his mom, it's so important to me to know that she's a part of this with us," she explained. "And I think in being able to meet his aunts and different people who were important to his mom, I'm able to know a part of her through them and, of course, through him. It's incredibly special." SEE ALSO: Prince Harry and Meghan Markle's engagement: Celebrities react! Additionally, Harry revealed that he thinks his mother would've adored the woman he's chosen to spend the rest of his life with. "They'd be thick as thieves, without question," Harry said with a smile. "She'd be over the moon jumping up and down so excited for me. [She] would've been best friends with Meghan." Despite the kind words, the joyous occasion comes with a tinge of sadness for Harry, who expressed his desire to have his mother there for such a monumental life moment for him. "[It's] days like today when I really miss having her around but with the ring and everything else that's going on she's with us," he finished. Meghan Markle and Prince Harry are scheduled to get married in the spring of 2018 and have been dating since July 2016.